Taking place during an attempted alien invasion of Earth, the player is tasked with recruiting every denizen of our planet that they can find in order to take down the attacking forces and save the day. Rather than become Batman or Superman-esque crime-fighters though, each of your recruited heroes has one special ability – to be morphed into a weapon of your choosing and used to attack the myriad of extra-terrestrials that come your way. Controlled via the gamepad’s right analogue stick or its touch-screen, the player can create a variety of shapes which, when successfully sketched out, will transform your sidekicks into one of many potential weapons. Forming an ‘S’ shape will form a giant whip, a straight line will make a sword, a sideways ‘L’ will create a gun, with other weapons including a giant fist, a hammer and a pair of Wolverine-style claws. Sketching these out is quicker and easier than you’d think; the process is quick, simple and your outline changes colour when you’ve conjured a weapon successfully, meaning there’s no frustration, at least when using the right-stick – I can imagine using the touch-screen would be preferable during moments of calm, but having to move your hand off the gamepad to draw in a battle scenario doesn’t feel like an ideal move. 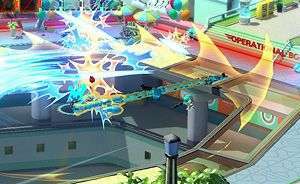 Although you wouldn’t think it, in The Wonderful 101 size matters, and the larger your drawing, the bigger your weapon will become, allowing you to take greater and more powerful swings at your opponents at the cost of speed. Tactics also have to change as a result; a small super-gun can fire fairly quickly, but making the biggest version you can conjure will make a massive bazooka that fires out missiles requiring a bunch of recruited superheroes with every shot. You don’t just have to worry about the amount of sidekicks you have at your disposal, as you also have to be careful of your battery level – the bigger the weapon, the more power it consumes to create, and so thinking tactically is a premium if you don’t want to be caught short in the middle of some of the bigger battles. If you vary your attack patterns and make sure to switch between different creations every now and again, there’s a surprising complexity to the combat on display, especially as failing to avoid attacks will see whatever you’ve made shatter into a group of now-dumbfounded allies. 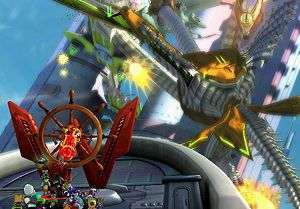 For those packed into a corner, losing your weapon after being attacked doesn’t require them to draw out a new one, as by pressing the attack button again the player can lash out with the weakest form of whatever they last produced, allowing you to get yourself into clear air if you wish to change into something a bit more devastating. Tactical nuance will be important when facing the bosses or the more powerful invading forces, as some will have weaknesses that can only be exploited with one part of your arsenal. To this end, I was made to face off against a much larger foe clad entirely in armour; defeating him required me to morph my recruits into a giant whip and use it to pull off each piece of his defences until he was completely exposed and free to hit with whatever I liked. Soon after, I found myself squaring off against a humongous blob that seemed far too formidable to take down until I conjured the largest sword I could and started cutting him down to size. Unfortunately, it got the best of me and although my squadron of superheroes eventually managed to get our revenge on the gelatinous slime, the demo ended but seconds after, meaning I almost didn’t get my chance at redemption. While it may be a little rough around the edges graphically, it plays like a future masterpiece, and anyone who decides to invest in The Wonderful 101 will find a fantastically quirky title that will have you watching the skies with your spandex costume in hand for some time to come.